Why choose Nuffield Health Glasgow Hospital for your knee replacement surgery? At Nuffield Health Glasgow Hospital our dedicated team of orthopaedic surgeons specialise in performing knee replacement surgery and can provide you with a treatment plan, which is individually tailored and inclusive of all costs, including aftercare/rehabilitation. Our state-of-the-art private hospital is located in Glasgow's West End, a prime location which is close to the city centre and local public transport links. Our situation enables us to provide patients and visitors alike with ample on-site car parking between 07:30 - 21:00, (when our hospital closes). We adopt a holistic approach to private healthcare and offer patients everything needed to make a full and thorough recovery. Our unique partnership with Nuffield Health Fitness & Welling Gyms (located on Finnieston Street, Giffnock and East Kilbride) helps us to provide Recovery Plus - a post-surgery rehabilitation programme designed to fast track your recovery through a qualified physiotherapist trained in orthopaedic aftercare. 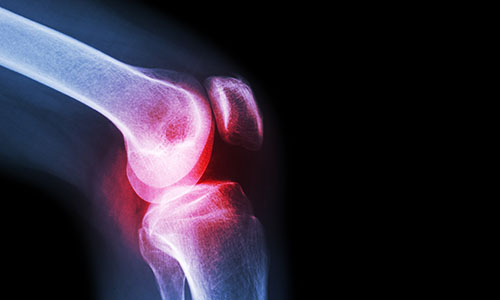 Recovery plus is available for a number of orthopaedic treatments (including knee replacement) and can take place at our hospital or one of our sister gyms located around central Glasgow, Giffnock or East Kilbride. If you are suffering from knee pain and want to discuss your treatment options with one of our consultants in Glasgow, you will need to book a private consultation via our dedicated hospital enquiry team in Glasgow on 01413 349 441. 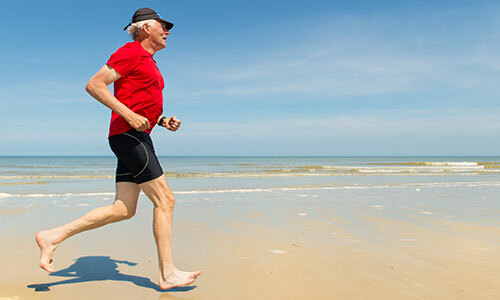 Why do some people require a knee replacement? In some cases a CT scan or MRI scan of your knee may be used to create special guides that will help your surgeon accurately fit your new knee joint. Did you know at Nuffield Health Glasgow Hospital you can pay for your private knee treatment yourself, rather than waiting for treatment on the NHS? Alternatively, you can also use your own private medical insurance. Usually, you will stay in hospital for 2-4 days, but you may have to stay longer if necessary. When you are stable and comfortable, a nurse will take you back to your private hospital room. The physiotherapists will work with you during your stay to help give you the best start with your new joint. Our physiotherapists specialise in orthopaedic aftercare and work closely with our orthopaedic surgeons to get you back to your feet. If you are in any doubt about your insurance cover, it’s best to contact your insurance company.